Identification of the EITest Angler EK payload is based on EmergingThreats alerts for post-infection traffic. 2016-04-20 update: The 2 DLLs listed above under the user's AppData\Local\Temp directory are CryptXXX ransomware. See Proofpoint's blog post about it for more details. 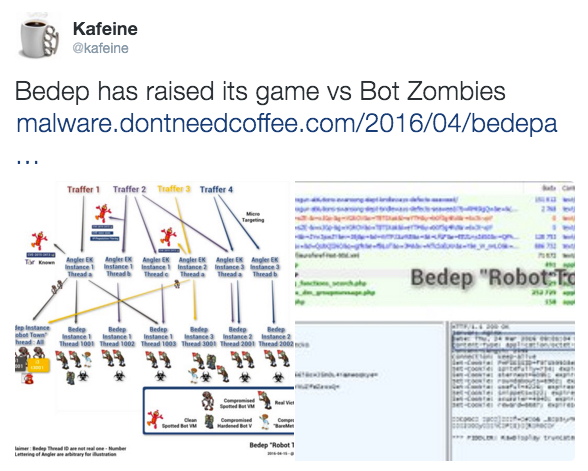 @Kafeine has an excellent blog post on malware.dontneedcoffee.com explaining how Bedep has evolved to avoid security researchers using virtual machines. 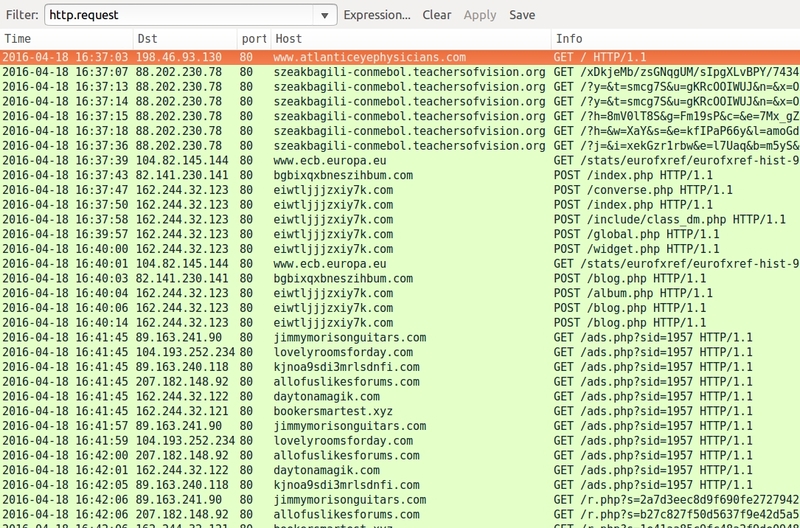 Shown above: Pcap of the EITest Angler EK infection traffic filtered in Wireshark. Shown above: Pcap of the pseudo-Darkleech Angler EK infection traffic filtered in Wireshark. Shown above: Using the EmergingThreats ruleset, I saw alerts for Panda banker malware from the EITest Angler EK traffic. 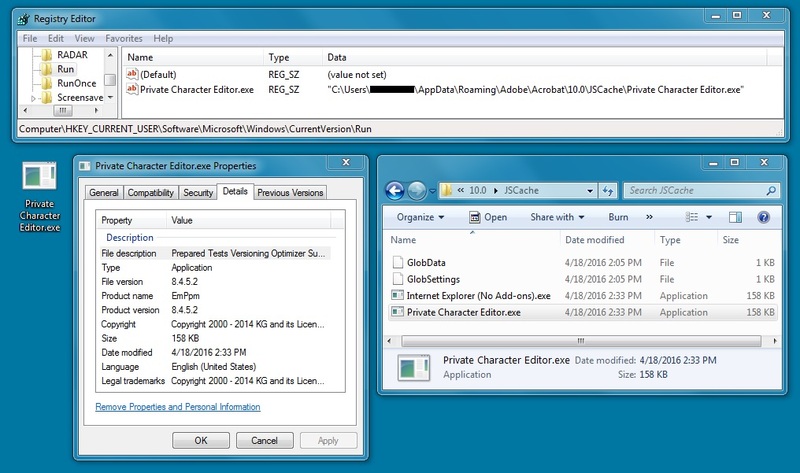 Shown above: Panda banker malware made persistent on the infected Windows host after the EITest Angler EK traffic. 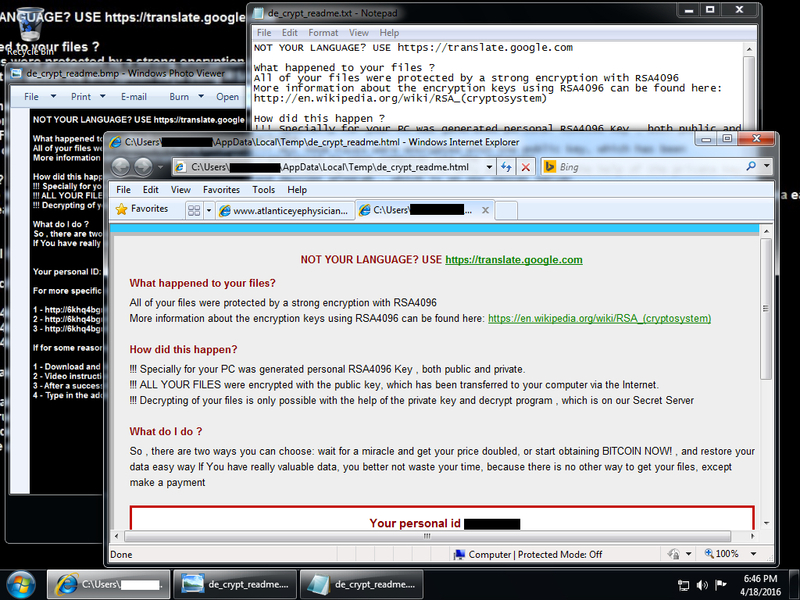 Shown above: Desktop of the infected Windows host with CryptXXX artifacts after pseudo-Darkleech Angler EK caused the Bedep infection. ZIP files are password-protected with the standard password. If you don't know it, see the "about" page of this website, or email me and ask.